View a chosen category from the drop-down menu below, then click on a question to view the answer. We hope that our dedicated FAQ section of the website for noise provides answers to all the possible questions you may have. Why am I hearing aircraft noise? You live or work close to the airport. You live or work close to a departure route or arrival pattern. You live or work close to a holding stack. The South East of the UK is some of the most congested airspace areas in the world, it consists of multiple layers of aircraft routes shared by aircraft using many airports. How many flight paths are there at Stansted? There are six flight paths (Noise Preferential Routes) at Stansted, three at each end of the runway. They are named after the directions to which they point: Buzad toward the North, Clacton toward the East and Dover toward the South. Should aircraft fly on the centre line of the Noise Preferential Route? Each NPR is 3km wide. if aircraft depart within the 3km corridor they are not considered to have flown ‘off track’. The airport works towards track keeping on the centre line. Are aircraft allowed to leave the Noise Preferential Route? Once an aircraft has climbed to a height of 4000ft above sea level (asl) on the Clacton and Dover routes and 3000ft asl on the Buzad route, it can be routed onto a different heading by Air Traffic Control. The height changes to 4000ft asl on the Buzad route throughout the night period, 23:30hrs to 06:00hrs. Aircraft may also leave the NPR early for safety reasons, which sometimes includes weather avoidance. If airlines persistently fly off track and nobody complains, will that then become a new flight path? No, the tracking of all aircraft movements at the airport are monitored, whether or not we have received a complaint. Have the flight paths changed - I've noticed more aircraft over my location recently? Since 1989 there have not been any changes to the position of the Noise Preferential Routes (also known as flight paths), the stacks where arriving aircraft queue whilst waiting to join the Instrument Landing System (final approach) or how Air Traffic Control direct the aircraft into the airport. Weather conditions, such as wind, low cloud and humidity can all alter sound waves and the levels of noise heard on the ground. Can aircraft fly to and from the airport during the night? Stansted airport is and has always been a 24 hour operation. There are restrictions on the numbers and types or aircraft that are allowed to operate between the hours of 23:30-06:00 hours (local time). This bans the noisier type of aircraft operating at night. Who is responsible for the noise restrictions for aircraft departing at night? The Government’s Department for Transport, imposes all departing aircraft noise restrictions, in order to preserve a balance between the need to protect local communities from excessive aircraft noise and the operation of services where they benefit the economy. The decision to allow night flights is therefore a policy matter for the Government. Are there any exemptions to noisier aircraft operating throughout the night? Yes, the Secretary of State has the power to specify circumstances in which movements may be disregarded from the night restrictions by the Airport managers and the power to authorise that specific flight should be disregarded. Airport companies may disregard night movements in the following exceptional circumstances: Delays to aircraft which are likely to lead to serious congestion at the aerodrome or serious hardship or suffering to passengers or animals Delays to aircraft resulting from widespread and prolonged disruption of air traffic. What is the point of complaining? Enquiries and complaints from the local community help us to understand how different locations around the airport are impacted by Stansted aircraft movements. What happens to my enquiry/complaint details? All details, including your contact date and time, your full address, and the date and time of any disturbance experienced, will be logged and investigated on our dedicated complaint/enquiry service which combines a database, mapping system, flight, noise and weather information. 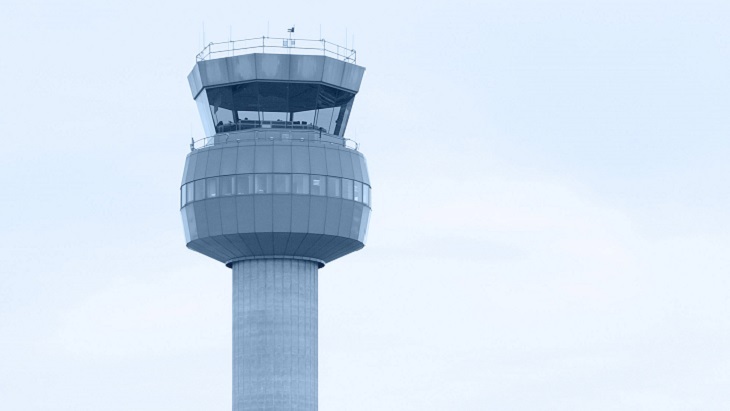 The airport recognises the need for consultation with our local communities, and as such the complaint and investigation details are forwarded on quarterly to the Stansted Airport Consultative Committee (STACC). STACC is made up of representatives from the Department for Transport, local government, airport users, environmental groups and other interested parties. Where should I go if I can't find the answer to my question here? If you can't find what you're looking for, we'd like to hear from you.